You have worked hard to establish a home of your own for you and your family. It would be devastating to lose that home to foreclosure, especially if it can be prevented. To find out about your foreclosure defense options, it is important to work with an experienced bankruptcy attorney. 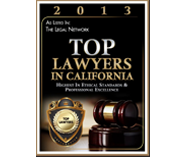 I'm attorney Andrew Kern, and I am committed to helping consumers avoid home foreclosures in the North Bay area. Call 707-658-4602, or contact me via e-mail to schedule your free initial consultation. 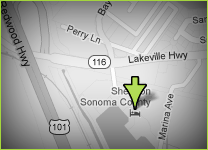 I am conveniently located near Highway 101 in Petaluma. If you are under water in your mortgage, you can use Chapter 13 to erase or lien-strip any second mortgage you have on the property while modifying the first mortgage in order to lower your mortgage payments. Chapter 13 can allow you to avoid foreclosure, keep your house and put any arrears into a payment plan. You could allow the foreclosure to happen or you could just walk away and rent. But these options are very shortsighted. Gone are the days of getting a home with no down payment, and rental properties are more expensive than ever. Even if you walk away, you may still be responsible for the deficiency that you owe on the house. If you do choose to walk away and rent, you will no longer have the tax deduction that you get from home ownership. In short, it is to your benefit to explore your foreclosure avoidance options. You have nothing to lose and everything to gain. To learn more about what life may be like after your bankruptcy, click here. To find out more about your bankruptcy options, contact me online or call 707-658-4602 today for a free initial consultation.